- 1 TBSP of dried minced onion. Set your oven to BAKE at 325 °F. 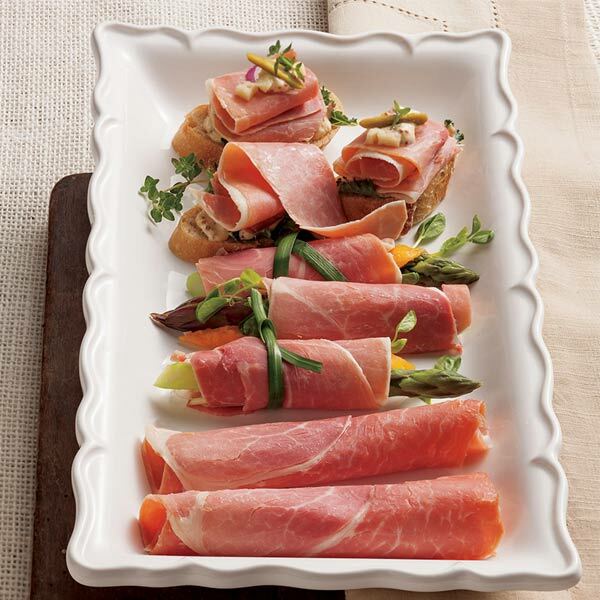 Use a knife to cut 6 country ham slices into quarter-sized pieces. Cut 6 slices of provolone cheese into quarter-sized pieces as well. Line a medium-sized pan with tin foil. Lightly grease the tin foil with nonstick cooking spray. 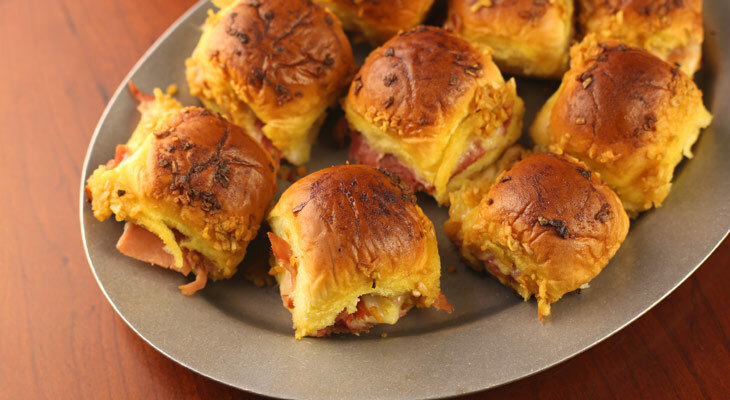 Fill each roll with ample pieces of country ham and provolone cheese. Place filled rolls on the greased, foil-lined pan. Place rolls very close together. Put a different, small pan over medium heat. Melt one stick of butter in the pan. Once melted, remove pan from heat and add melted butter to small bowl. Add 2 TBSP of mustard, 2 TBSP of Worcestershire, and 1 TBSP of dried minced onion to the butter. Stir to combine. Use a spoon to cover the top of the rolls with the sauce. Place the pan with the rolls in the oven for about 25-30 minutes. Watch the hams rolls carefully so they do not scorch. 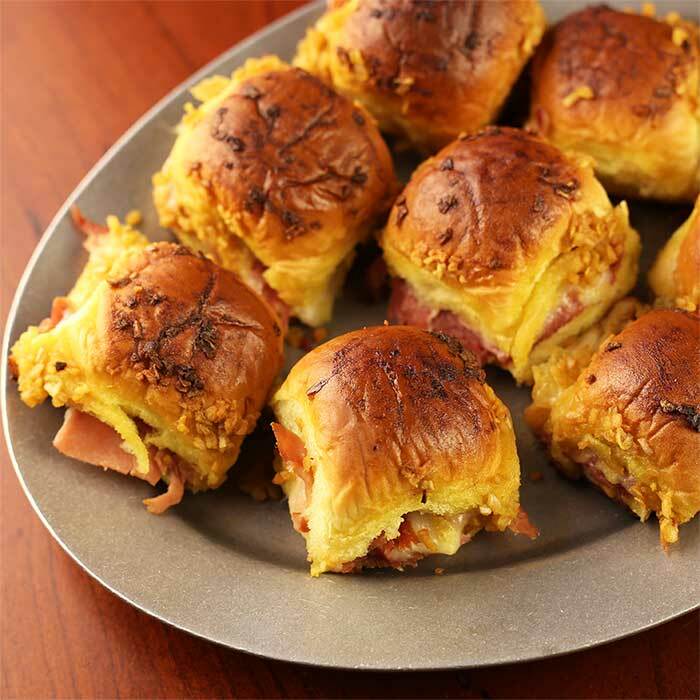 Remove ham rolls from the oven and serve on an appetizer plate. Enjoy this "fantastic" snack for all! Feel free to share a food photo of your culinary creation on our Facebook Page or on Instagram using the hashtag, #EdwardsHam.